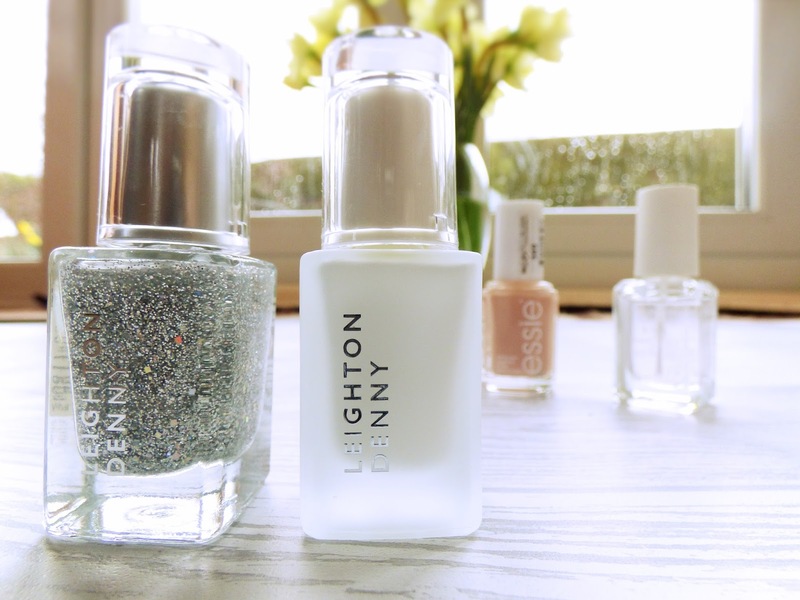 Leighton Denny's Easy Peel Base Coat - As Good As It Sounds? Us gals go through a lot in our lives: we put up with monthly periods and all the fun and cramps that come with them; we push babies out of our bodies like some kind of Superwoman; and on top of all that, we go through the pain of trying to take off glitter nail polish that just doesn't want to budge. 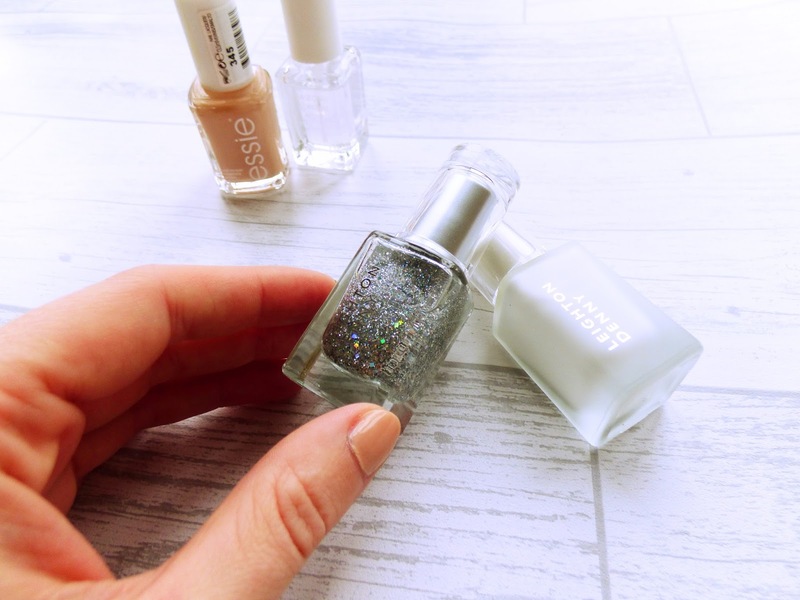 We've all been there - desperately scrubbing away at a chipped glitter coat with a cotton pad, only for the cotton wool to drag and cling onto the tiny pieces of glitter until your left in a crying heap on the floor and glitter nail varnish STILL on your nails. Okay, this may be an exaggeration, but it's a pain, right? Something we could do without? 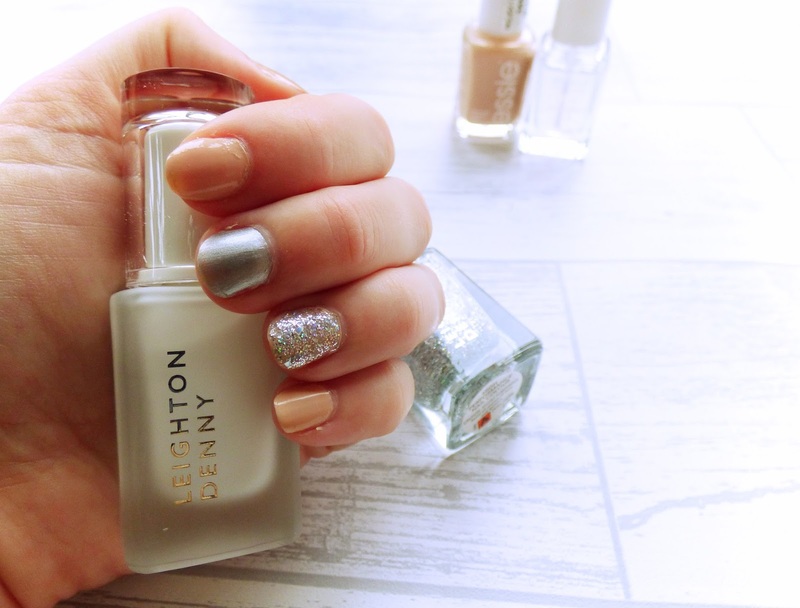 Well fear not glitter lovers, Leighton Denny has come up with a solution. 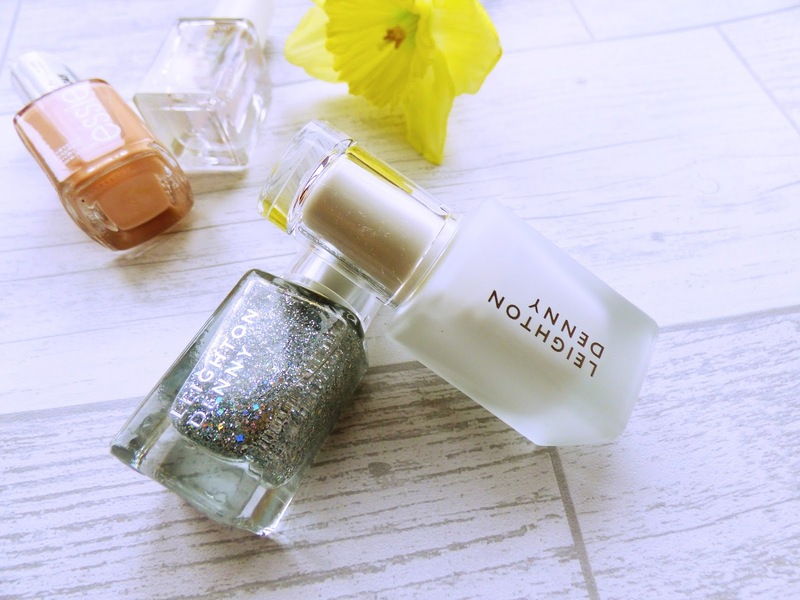 I was generously gifted Leighton Denny's NEW Easy-Peel base coat, along with one of their glitter nail polishes called Twinkle Twinkle to try with it. The instructions say to put two layers of the Easy Peel base coat on before topping with your fave glitter polish. The base coat paints on white and then as it dries it turns clear. It dries super quickly and doesn't feel thick or gloopy, so it doesn't take long to do the two base coats. Once they were dry, I put on two layers of Twinkle Twinkle to complete the look. 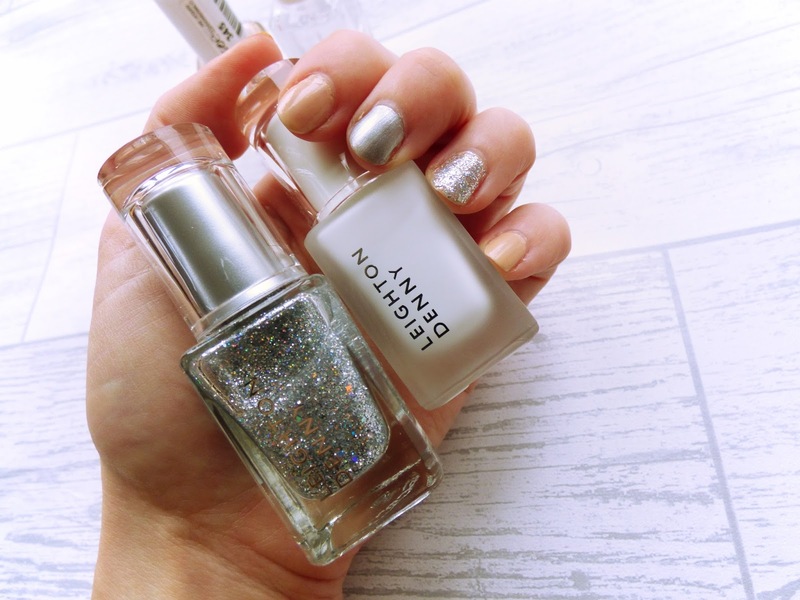 I love the look of a glitter polish and this silver colour goes with most outfits so it was perfect for my Saturday night out. Now here is my recommendation: this peel-off base is great if you want to wear a glitter polish for a day or for a particular event, without the trouble of taking it off the next day. It is PERFECT for that. However, don't expect it to last a whole week. The beauty of this product is that it's super convenient if you want to be able to take off your polish really easily. I found that after submersing my nails in water quite a bit during the day (e.g. while showering, washing up dishes) the nails started to come off. In the instructions, it suggests that you gently push at the edges of your nail until the polish comes away from your nail bed. And it really is that easy! And also how satisfying is it peeling off nail varnish? (The answer is VERY). If you peel of shellac or normal nail polish, it often leaves nail beds feeling rough and brittle. With the Leighton Denny Easy Peel base, my nails felt perfectly healthy and smooth after taking them off - bonus!